This time we had a talk with Villu Arak, the Marketing & Communications guy from Funderbeam, who explains how Fleep for their startup is habit-forming, reveals why Pinboards and File Drawer features are in major use and how Fleep provides shelter to tired little files that need a decent place to stay. 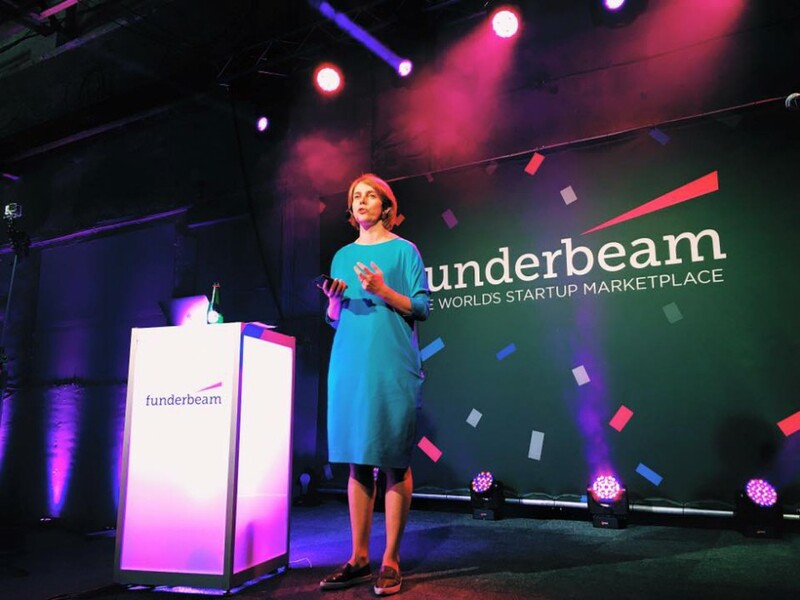 Funderbeam plans to bring data-driven transparency to startup investing. There is a massive transparency gap between publicly-listed companies and young startups. This keeps some people from even considering an investment in early-stage companies. We’re working to narrow that gap. This blog post gives you an idea how it could be done. Of course, it won’t happen overnight. We’ll launch the first step in June by making startup data easy to find, track, and compare. Investor search, analytics, and market intelligence will follow later. But the end goal is to evolve into a global trading platform for startup securities. How many people in the team? About a dozen, it’s a 50/50 mix of employees and those who still have other day jobs. Since there is hardly ever a moment when we’re all in the same room together, a sense of shared space is crucial. Fleep helps give that space a shape. Henn (CEO of Fleep) approached me in March 2013 to help hone Fleep’s tone of voice and write copy for its website. Seeing the product and Henn’s ambition up close this early was crucial in carving out a special F-shaped place in my heart. An opportunity to evangelize came a few months later when Funderbeam’s early team gathered around the kitchen table of its founder and CEO Kaidi Ruusalepp. I don’t think we ever used Skype for anything other than voice calls in the team, the consensus to try Fleep as our chat platform came quickly. Skype still hadn’t solved its sync problems across devices, so Fleep swooped in and snatched us. People are creatures of habit. There are some email traditionalists who’ve been wary about adding “yet another” comms channel to their devices. So sometimes conversations fall out of the Fleep bucket and clog up the inbox. Sure, conversations that start in Fleep can elegantly manage non-Fleep users through email. But when a conversation starts out as an email with several folks on the cc: line, I can’t channel it into Fleep yet. Now THAT would be a nice new feature. The majority of our public chat traffic flows in a Fleep conversation we call Funderchat. It’s for links, jokes and general monkey noises — things that help maintain a sense of belonging and shared culture. Then there are more task- or role-specific chatrooms that have a more productive purpose. “Business and marketing” is a tight four-member group, “Biz dev” is another in-house chatroom, while “Front development” also involves our external development partners. There are plenty more. These chats see quite a bit of action on the Pinboard and File Drawer. Finally, there are one-to-one chats where a lot of microscopically practical stuff happens. Probably a bit of venting and winking, too. Any Fleep tips, tricks or habits that you’d like to share? It’s habit-forming. This spring, Fleep smartly exploded itself and splattered its apps across macOS, Windows, Android, and iOS. Plus the initial browser version to cover any remaining platform gaps. As a result, Fleep conversations now follow me everywhere. Like a stalker I never had. The main trick with Fleep? Use its basic, simple features. Fleep’s Pinboard is a life-saver, as is File Drawer. Since our teams use a range of platforms, from Dropbox to Google Drive to Trello to Kanban to email, I sometimes just pin or upload stuff to Fleep. This way, I know its address. It feels good, too, like offering clean shelter to a tired little file that’s been living in motels and halfway houses and just needs a decent place to stay. Yes, it’s simultaneously noble, sad and utterly ridiculous. This is it for this time, if you’d like to get more stories like this in the future as well, feel free to follow us on Twitter or Facebook. We always share the newest content in there!